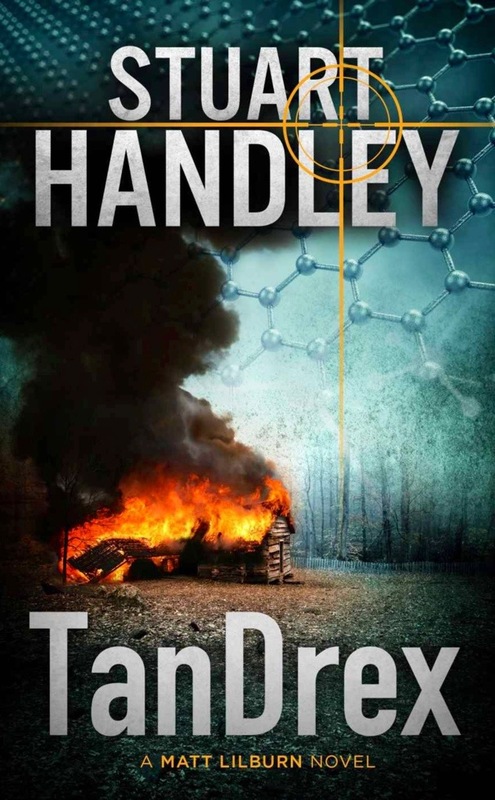 Stuart Handley’s TanDrex is about two brothers, who after being orphaned as children pursue different careers, Matt Lilburn is ex-special forces and works for Homeland Security and Duncan Lilburn has followed in his late father’s footsteps not just as a scientist working in the field of nanotechnology, but working for the same company his father worked for, TanDrex. When Matt returns home one evening to find his apartment broken into and his girlfriend’s picture missing, he thwarts an attempt to abduct her but who would plan such a thing and why? Matt realises that the real threat is not to himself or his girlfriend but his brother Duncan who may have made the biggest scientific discovery of the century. The action sequences keep you on the edge of your seat, and the suspense keeps you glued for more. Matt is a very capable leader and operative but working under the radar and alone stacks the odds against this formidable hero. His capable team are loyal and professional. Duncan Milburn is an enigmatic scientist with a conscience and also possesses a remarkable strength of character. I did find the character of Milburn’s girlfriend a little thin in comparison, she was not easily relatable as she was too innocent to even curse at the bad guys, which I found a bit lame if I’m honest but the strong female character of Scrat more than makes up for this flimsy addition to the cast. The stakes are high and Matt is personally involved in this one, gripping right until the very end! Next Next post: What Makes People Buy Self-Published Books? Great review of a thriller by a great new author.